The Lexani LXUHP-207 is an all-season high performance tire specially designed for drivers who are looking for stability, year-round traction, and comfort. It features a unidirectional tread pattern which allows it to perform well on a specified direction. 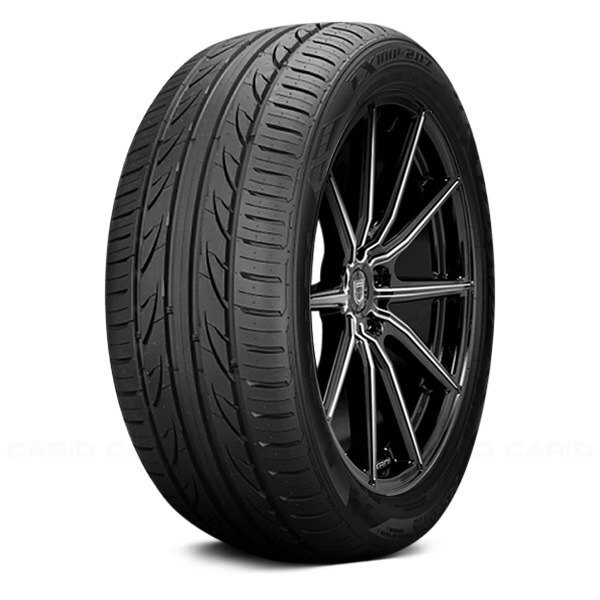 When installing this tire, you will know which direction in goes based on the arrow on the sidewalls. Its lateral grooves ensure that you remain stable when driving in wet road surfaces by pumping water through the tread pattern. The highly-advanced construction of this tire allows it to last longer while generating extremely low noise.